"Blindness separates us from things but deafness separates us from people." This quote by Helen Keller speaks volumes about the challenges of hearing impaired. As the old cliche goes that it is always easier said than done. Whether you are suffering from hearing loss or it is a loved one like your friend or family member, it is not quite easy to cope with the challenges deafness brings along. In this post, you will read about how to deal with hearing impaired, treatment for hearing loss and ways to help them cope with their and your challenges. If you are suffering from hearing loss, it is frustrating to make people repeat themselves and people complaining about you speaking louder than usual, every now and then. Most of the people think hearing loss is only affecting them, which is not true at all. Your hearing loss affects not only your life but also your family. Imagine, your son or daughter who wants to be heard, but can't. Family chit chats at the dinner table which are not the way they should be. In a nutshell, you need to be a bit patient while dealing with your challenges as well. How to deal with a family member with hearing loss? People with hearing loss face lots of challenges in their routine life and small things that we take for granted such as understanding a conversation, speaking ove the phone, taking directions, watching television are an uphill task for them. They need your support. Assure them and boost their morale to prevent them from slipping into a self pity mode. Remember this can lead additional problems and result in mental problems as well. Always stand in front of them while talking so that they can see your facial expressions and understand you. Showing signs of frustration will not get you anywhere but only add to problems. In order to get appropriate treatment for hearing loss, it is important to diagnose the cause of hearing loss. Treatment for hearing loss includes proper diagnosis,hearing test and choosing hearing devices. There are many hearing devices available in the market, so do not pick one by yourself. Leave it to an audiologist. Always remember treatment for hearing loss takes a while, you cannot expect instant results. 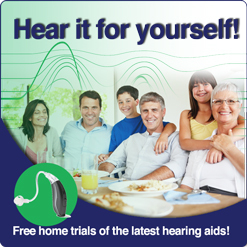 If you doubt that you or a family member is suffering from hearing loss, you can go for a free hearing test online.